Federal Special Anti-Robbery Squad in Imo State have arrested the founder of Jesus The Rock of Salvation Healing Ministry, Uratta, in the Owerri North Local Government Area of the state, Pastor Chiedozie Anochima, in connection with the February 22, 2017, robbery in a bank. The attack of Zenith Bank on the Wetheral Road branch in Owerri, left two policemen dead, with another injured, while one of the armed robbers was gunned down during the operation. The police, who had since rounded up the fleeing members of the gang, said the arrest of the cleric during a church service last Sunday was a major breakthrough in the investigation of the crime. A police source said on Wednesday that the arrest of the last member of the gang, Chinonso Onwugbuchlam, one year after the incident, helped the police to arrest the pastor. The source disclosed that it was in the course of interrogation that Onwugbuchlam, who was arrested by F-SARS operatives in Port Harcourt, Rivers State, mentioned the pastor’s name. 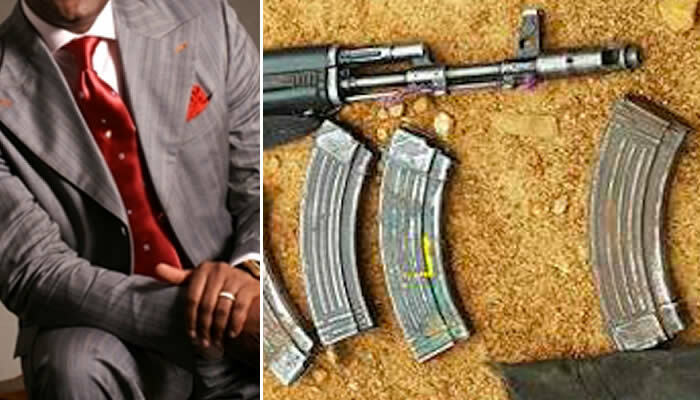 The source told newsmen that Onwugbuchulam confessed that the pastor kept the gang’s rifles after operations and prayed for them for protection. “Onwuegbuchulam led the F-SARS operatives to his church where we arrested him during a church service. The pastor was surprised to see us. We swooped on him and arrested him immediately. That was last Sunday,”the source said. The state Commissioner of Police, Chris Ezike, said the arrest of the cleric was a big breakthrough for the command. He said, “Yes, it is true. We have arrested the pastor and he is with us. You know that criminal investigation is like kerosene; it spreads. The more you investigate a crime, the more it spreads. Our correspondent gathered that the arrest of the pastor, which caused a stir during the church service, made members of his church to flee.